Reconstituted Tobacco Sheet Production Line By Rolling is one complete group of equipment which makes full use of tobacco waste such as tobacco stems, powder and dust etc. produced in cigarette manufacturing process. It adopts special technical recipe and flow to finally remake the waste into tobacco Sheet filament. This production line has the advantages of small investment, environment protection without pollution during manufacturing, reducing cigarette production cost greatly and producing great economic profit. The production capability of it has specifications of 80kg/h, 180kg/h, 200kg/h, 400kg/h, 600kg/h, 800kg/h. 2.8 Supplying material conditions: unpolluted and non-mildewed tobacco stem and powder, with moisture content not more than 16%, sand/ soil rate of tobacco stem not more than 2%, sand/ soil rate of tobacco powder not more than 3%, the length of tobacco stem not more than 20mm. Proportion rate of tobacco stem and powder material: tobacco stem from 30% to 60%, tobacco powder from 40% to 70%.When inlet material has been dried outside the line, water rate of the tobacco stem and powder entering grinder should be not more than 10% and its purity is not less than 98%. 2.9 Viscosity of CMC is not less than 600 centipoises, liquid mixture material should have no undissolved substance, materials larger than 60 mesh are not permitted to come into the liquid proportion device. whole cut-recon percentage: not less than 90%. Sheet grammage tensile strength, folding strength, tear strength, water resistance, softness should comply with the regulations of YC/T16.1-2002. (1) Pre-treatment section adopts the working procedures of vibratory sieving, iron removing and pneumatic classification, to effectively eliminate the impurity of the raw material so as to raise the purity of the materials. (2) The tobacco stem and powder adopts time-sharing drying on line and automatic classification storage. The stem and powder are proportioned automatically under the accurate control of screw electric scale with its error less than 2%. What’s more, it is convenient to adjust the proportion between the tobacco stem and powder. The drying of tobacco stem and power adopts the drying cylinder with dehydration capacity is more than 6%. After drying, the material has moisture of not more than 10%, which is easy to be grinded. (3)The material pneumatic conveying system and grinded material pneumatic conveying system both adopt negative pressure operation, two-stage dust discharging, which improves the environment of workshop. (4) Stem bin and powder bin both have been installed with material positioning sensor, which achieves an automatic start/stop of equipment through the signal interlocking. (5) The measuring of liquid and solid material all adopt decrement electronic scales .It can control the accuracy of materials output through frequency conversion control. It can ensure the moisture accuracy ±2% after blending. (6) It adopts advanced technology in stem defibration. The tensile strength of recon will raise over 100% after adding stem fiber. It raises greatly the valid utilization rate of the sheet which is ≥95%. (7) The adoption of the second time crimping technology can raise the filling value of cut-recon. After the drying & crimping cylinder, there is a cooling device which cools down temperature of recon and helps shape-forming of the product quickly. (8) It sets up moisture automatic control system. It can assure the moisture deviation ≤±1.5% after cutting. The moisture deviation of finished product is not more than ±1%. (9) The control system is set up according to different control level; it is practical and advanced, easy for operation. a. The control system has manual and auto operating modes. Manual operation is used in maintenance and on-site emergency treatment. Auto mode is used for normal production. b. The system adopts PLC controller with high reliability and good brand low-pressure electrical components, and make the whole line operate automatically by start-stop in sequence control and by conditional interlocking. It gives real-time warning and indication for over current, lack of phase, short circuit etc. It is easy to maintain and repair. The system has high reliability. c. The accuracy of measuring and blending of powder and liquid material can reach 99%. The blending ratio can be flexibly adjusted. The technology and production capacity have good adaptability. d. As to those sections with high requirements for flow, speed, moisture and temperature, it adopts intelligent instruments, such as frequency control, temperature control apparatus, dynamic measuring electronic scales and moisture apparatus etc, it can be monitored and supervised locally, and it is also supervised by the upper-digit computer in concentration. e. The upper-digit computer can achieve the concentrated supervision in order to facilitate the management on-line. It can generate production report forms showing material consumption and product statistics for data storage. It consists of Raw material purifying system, Grinding and storing system, Powder and liquid material proportioning system, Rolling, drying & cutting system, Second time drying and crimping system, Electrical control system and General engineering system. There are options of fiber & glue proportioning system, long stem grinding system available for customers according to the raw material and special technical requests. This system mainly consists of Quantitative screw conveyer, Rotary vibration sieve, Vibratory conveyor, Drying cylinder, Magnetic iron remover, Two-way screw conveyer, stem bin and powder material bin, pneumatic conveying & dust removing system etc.. It can complete the working procedures of quantitative feeding of stem and powder, sieving and cleaning, iron removing, pneumatic conveying and classification, automatic classification and storage of stem and powder. (1) It sets up multiple working procedures for material purifying to assure the purity of material ≥98%. (2) The vibratory sieving device adopts rotary vibration sieve to eliminate the impurity ＞2 mesh and < 80 mesh. (3) The pneumatic conveying system adopts negative pressure operation and two - stage dust removing system. It makes a better environment in workshop. (4) It adopts automatic classification and storage of stem and powder, sensors indicating material high and low level are interlocked with the previous equipment to achieve automatic start-stop. This system mainly consists of L-type screw conveyer, Screw electronic scale, Screw conveyer, two-way screw conveyer, Grinder, CMC feeder, Cyclone material discharging airlock, Dust remover, Powder bin and pneumatic conveying and dust removing system. It can complete the working procedures of the automatic proportioning of powder and stem, the quantitative adding of CMC, iron removing, grinding and grinded powder storage. (2) Install two grinders in parallel to make sure that repair or maintenance of one grinder would not affect production. The grinding particle size can reach 40-120 meshes, flow rate 400kg/h. (3) The pneumatic conveying system adopts negative pressure operation. It makes a good environment in workshop. (4) The grinded powder bin is equipped with a sensor indicating the height of material, and is interlocked with the upstream machines to achieve automatic start/stop. This system mainly consists of L-type screw conveyer, electronic scale for powder, electronic scale for liquid, liquid proportioning tank, Agitator, Extruder etc. It can complete the working procedures of the liquid proportioning, powder and liquid automatic proportioning and agitation, extruding with the brute force. (1) It adopts weight drop electronic scale for proportioning of the powder and liquid material, a frequency converter for control of the material feeding accuracy. Proportioning inaccuracy: ±1%. This system mainly consists of roller, belt conveyor, combined recon dryer, cooling belt conveyor, cutter etc. It can complete the three times of working procedures of 3 stages of recon sheet rolling, fast drying & cooling, and recon tobacco cutting as per technical requirements. (1) The roller is made of rare earth alloy cast iron by founding, the thickness of the hardening rolling surface layer reaches up to 8mm, and the surface of the roller is processed by special wearing-resist technology and the roller can be used repeatedly after finely wearing processing. (2) Tobacco sheet is formed though three rolling and pressing processes to ensure the uniformity of material after adding fiber. (3) The combined recon drier adopts the combined drying mode of electric heating and steam heating, and hot air circulating as well, which saves energy and improves the physical quality indexes of recon tobacco. This system mainly consists of vibratory conveyer, drying & crimping cylinder, cooling cylinder, vibratory sieving conveyer, weighing scale etc. It completes the working procedures of second time drying, crimping, cooling, shape forming of recon tobacco and scaling of finished product for packing. (1) This device can effectively improve the filling value of cut recon up to ≥3.5cm3/g. The electronic control system consists of electric drive control subsystem, proportion control subsystem and moisture control subsystem. It achieves automatic control over all equipment of the whole line and control operating parameters. And there are options of local centralized control mode, field bus mode and industry Ethernet mode, etc. according to customers’ requirements. (1) It adopts S7-300 for PLC. (2) Low voltage electronic components uses SIEMENS, MOELLER, TE etc. (3) Frequency varied device and soft start device adopts DANFOSS. (4) Field bus adopts SIEMENS ET-200S. (5) Industry Ethernet adopts SIEMENS PROFINET. (6) HMI adopts SIEMENS MP370. (7) Upper computer supervision and control software adopts WINCC. All the configuration above can choose other brand according to the customer’s requirements. The fiber & glue proportioning system is the latest technology in rolling and pressing tobacco sheet field, this technology can effectively improve the physical and chemical index of tobacco sheet. It can improve the effectiveness rate of tobacco sheet silk by 30%, and improve filling rate from 3.5m3 /g to 3.8m3 /g. So the economic benefits is outstanding for selecting this system. This system mainly consists of fiber scatter, reaction pot, extruder, drying device, adding glue machine etc.. It can complete the working procedures of the solution and dewatering of the fiber panel and manufacture of sheet glue. This system is used to pre-treat long tobacco stems with length more than 20mm, and to grind those stems into short stems with length less than 15mm in order to meet the demands of production on line. This system mainly consists of grinder, cyclone material collecting device, spiral conveyor, dust removal device and wind conveying system. It can complete the work of grinding the long stems into short ones with length less than 15mm. Tobacco stem viscose preparation system is the new technology by our new research and development, it mainly decompose the fiber in the stem and add sugar and sheet glue and other material according to the proportion and then manufactured the tobacco stem viscose. 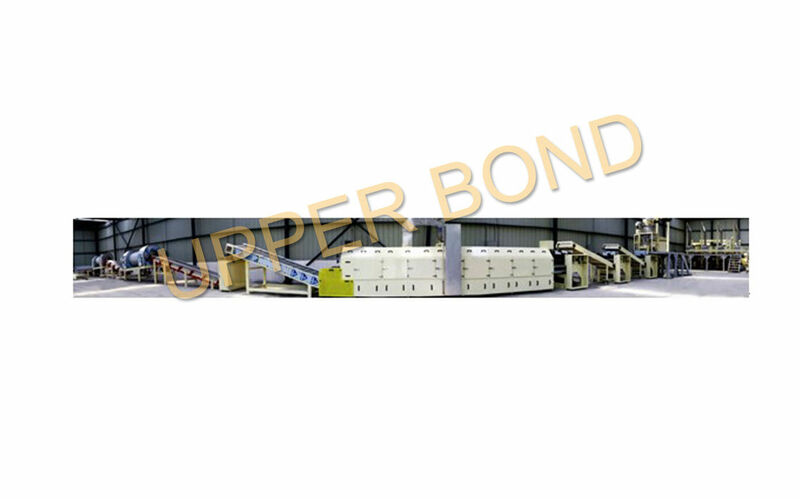 It can replace the existing wood pulp fiber sheet glue, compare to wood pulp fiber sheet glue, under the same condition of enhancing sheet strength, it can greatly reduce the production cost and reduce the influence of tobacco sheet absorbing. The system mainly consists of defibrator, sugar material pot, proportion pot, glue storage pot, liquid material conveying and measurement system. It can finish the functions of the stem defibration, liquid material measurement, proportion, storage and conveying etc..
Y1-- Price of some grade tobacco leaf replaced by sheet (yuan/kg). Calculating in terms of 16 yuan/kg.